The Pro Midgets ended the 2017 season thrilling the fans with the high speed, side by side racing action. The off season is seeing even more growth within the series, as a new group of rookies are set to do battle with the returning veterans for 12 events for 2018. The season will kick off on the Victoria Day weekend in May, as the cars and stars of the Pro Midgets will make there debut at Sunset Speedway as part of the Spring Velocity Weekend. As Sunset Speedway celebrates their 50th Anniversary, the fans will get to see first hand the highspeed racing action that only the Pro Midgets can provide. The week after will see the teams load up the haulers and head to Peterborough Speedway for the first time in 2018. This will allow the teams to fine tune their setups as they prepare for Chase for the Colours and Championship night at Autumn Colours. The month of June will see the teams compete at Grand Bend Speedway for the first time in 21018 on the 23rd. This is always a drivers’ favorite as the action is always hot and furious at this purpose built bull ring of a speedway. The month of July will bring the summer heat, and teams will be settled into their points battle. There will be teams that find themselves in a hole and some that will have surprised their competition by leading the way. 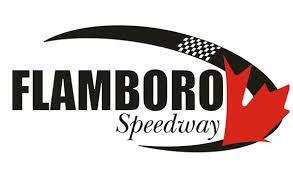 The fire works will start at Sunset Speedway as the series celebrates Canada Day on July 1st, and will round out the month with the first visit of the season to Flamboro Speedway. As the calendar flips to August the first thing on the Pro Midget teams mind is locking themselves onto the front row for Autumn Colours. Peterborough Speedway host the series on the August long weekend for an exciting night of racing. What better way to beat the heat of summer than head to the beach. The teams head to Sauble Speedway on August 11th to compete for the much sought after Surf Board Trophy. With a very well deserved week off before heading to Flamboro Speedway on the 25th of August to close off the summer. With 2018 the Championship coming down to the final few events. The Pro Midget teams will return to Grand Bend Speedway on the 8th of September. This time of the year also marks playoff season at the tracks and the Pro Midgets will participate at Fall Velocity at Sunset Speedway and Frostfest at Flamboro Speedway. The final event of 2018 is the traditional Autumn Colours at Peterborough Speedway. The 2018 Championship will be rewarded in front of the capacity crowd. As quickly as it starts the season will be at an end and plans will be underway for 2019! OSCAAR and The Pro Midget teams look forward to seeing and thrilling the race fans this coming season.